1 big thing: Counterprogramming "The Trump Show"
In his hour-long, prime-time interview with ABC's George Stephanopoulos, fired FBI Director James Comey called President Trump a "person who sees moral equivalence in Charlottesville, who talks about and treats women like they're pieces of meat, who lies constantly." 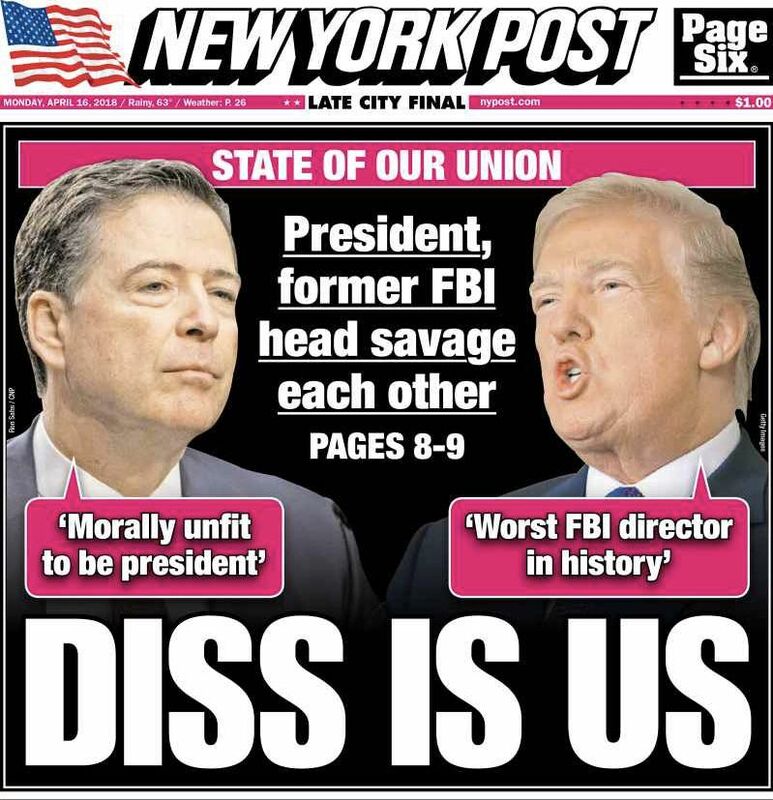 Comey used almost identical wording in an interview in today's USA Today, calling Trump "someone who is able to see moral equivalence in Charlottesville or to speak and treat women like they're pieces of meat and to lie constantly." 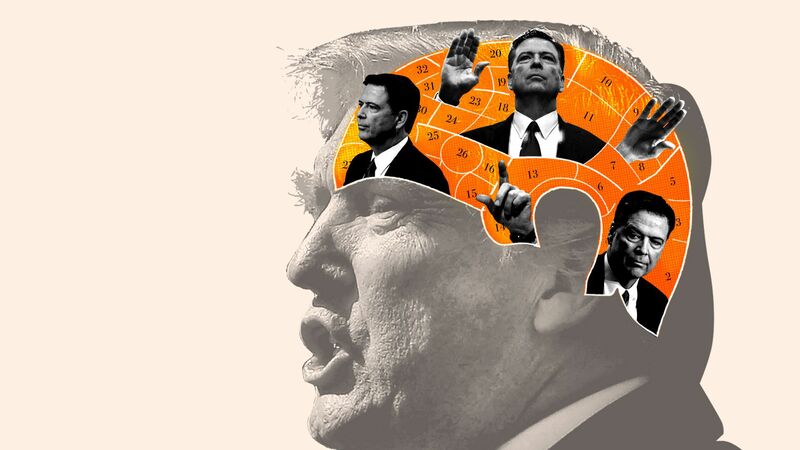 In arguing to both outlets that Trump is "morally unfit to be president," Comey made it clear that, like a skilled political candidate, he'll be repeating a specific message with fervor and discipline on a coast-to-coast book tour that includes a saturation schedule of interviews and audience events. European Parliament member Guy Verhofstadt tweeted: "Facebook has more active users in Europe than in the US. We expect Mark Zuckerberg to come to the European Parliament." Go deeper on the threats, including privacy, antitrust and taxation. It took five hours. After Jonathan Swan's "Sneak Peek" newsletter reported last evening that President Trump was furious about Vice President Pence hiring a former Never Trumper, the aide quit before he'd even started. Some White House officials were taken by surprise when the WashPost's Josh Rogin reported Thursday: "After months of searching, Vice President Pence has chosen a new national security adviser. Jon Lerner, deputy to U.S. Ambassador to the United Nations Nikki Haley ... Lerner will also keep his job working for Haley, dividing his time between the two principals." Swan then reported: "The President believed Lerner was a card-carrying member of the 'Never Trump' movement because Lerner crafted brutal attack ads for Club for Growth's multimillion-dollar anti-Trump blitz during the Republican primaries." Trump told White House chief of staff John Kelly to get rid of Lerner. Pence, who was filling in for Trump at the Summit of the Americas in Peru, called the president in the Oval Office and talked him around. But Trump remained hopping mad about it. The issue probably wasn't going away, and the White House concluded it wasn't worth the continued heartburn and negative attention. While Comey was on the air last night, the vice president's office issued a statement: "Tonight Jon informed the Vice President that he was withdrawing from coming on board as national security advisor." 4. 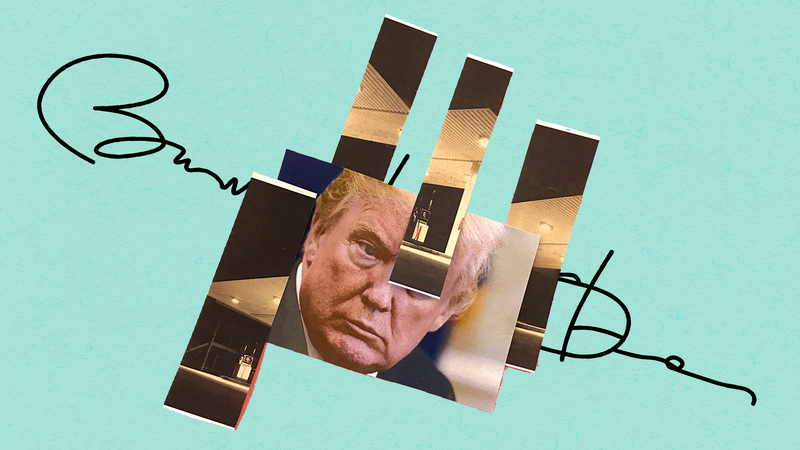 "There were curse words ... a lot of curse words"
Trump, a "reluctant hawk," "instinctually opposes many of the punitive measures pushed by his Cabinet that have crippled his ability to forge a close relationship with Russian President Vladi­mir Putin." "Trump seemed distracted in March as his aides briefed him ... on the administration’s plan to expel 60 Russian diplomats and suspected spies. ... The United States, they explained, would be ousting roughly the same number of Russians as its European allies." "The next day, ... Trump erupted ... France and Germany were each expelling only four Russian officials." "His briefers tried to reassure him that the sum total of European expulsions was roughly the same as the U.S. ... 'I don’t care about the total!' [an] administration official recalled Trump screaming." "Growing angrier, Trump insisted that his aides had misled him." "News reports point to a growing possibility that President Trump may act to cripple or shut down an investigation by the nation’s top law-enforcement agencies into his campaign and administration." "Lawmakers need to be preparing now for that possibility because if and when it comes to pass, they will suddenly find themselves on the edge of an abyss, with the Constitution in their hands." "Make no mistake: If Mr. Trump takes such drastic action, he will be striking at the foundation of the American government, attempting to set a precedent that a president, alone among American citizens, is above the law. What can seem now like a political sideshow will instantly become a constitutional crisis, and history will come calling." "Of course, this president has been known to huff and puff, to bluff and bluster, and he may be doing no more than that now." 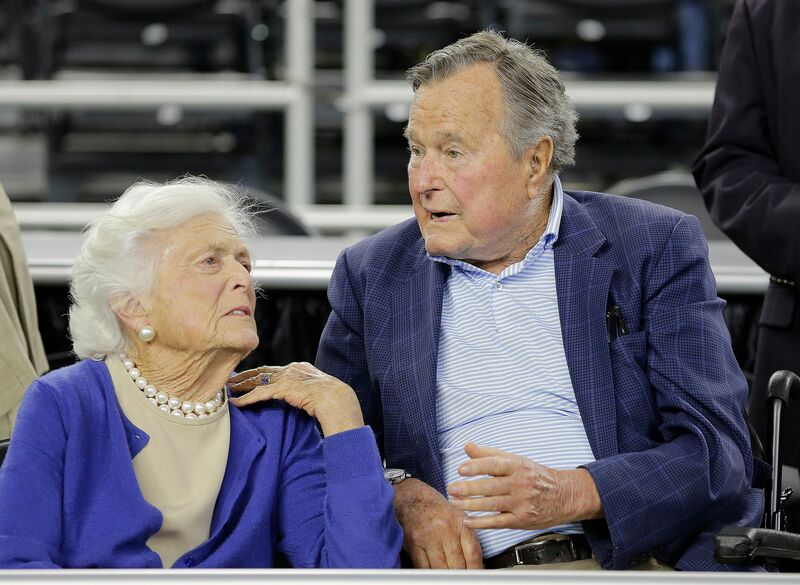 "HOUSTON — Following a recent series of hospitalizations, and after consulting her family and doctors, Mrs. Bush, now age 92, has decided not to seek additional medical treatment and will instead focus on comfort care." "It will not surprise those who know her that Barbara Bush has been a rock in the face of her failing health, worrying not for herself — thanks to her abiding faith — but for others." Why it matters: That means "billions of dollars in returns to their executives and investors." Automakers are asking for more flexibility, but not to wholly repeal the standard. The catch: It's not clear that the Trump administration is actually willing to find a middle ground. What’s next: We don’t yet know whether Trump will use a scalpel or an ax, though precedent suggests it’ll be the latter. A senior EPA official told me the agency, along with the Transportation Department, will issue multiple options in coming months, from a near full-scale repeal to a minor rollback. "Hide snacks wherever they will fit, including under a wristwatch. ... Each layer of clothing provides a spot to stow an umbrella, food or flip flops." Jason Francisco ... figured out that on airlines that charge for cold water, flight attendants often pour hot water from the onboard tea kettle at no cost. To help feed his family of six, Mr. Francisco ... brings aboard budget flights several packets of instant miso soup, bowls of dry ramen noodles and reusable dinnerware ... 'Even the flight attendant gave me a high-five.'" "Before boarding a flight last year ... Mark Gustafson, 32, stopped by See’s Candies at the airport for a $25 box of chocolates. Then he made a beeline for the head flight attendant in economy ... After takeoff, the flight attendant slipped Mr. Gustafson a free steak dinner from first class. She returned several times for what amounted to all-you-can-drink red wine service."